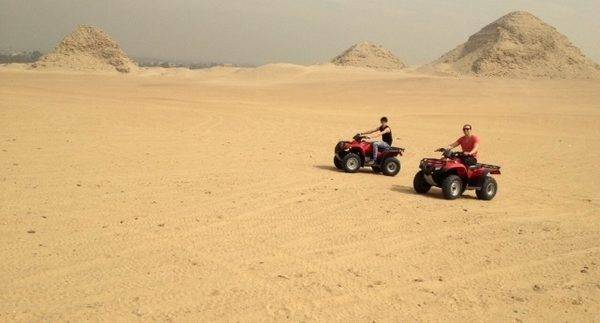 Drive a quad bike across the Giza Plateau on a tour that adds some adventure to your Giza Pyramids visit. it’s a totally different perspective than visiting the crowded main site, and a great way to take in the impressive scale of the Giza Pyramids. 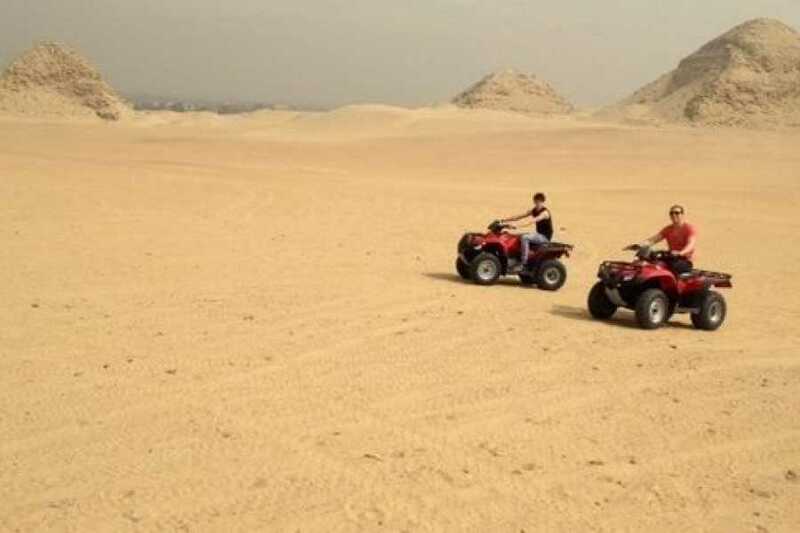 As per booking time Pickup our guest from their Location in Cairo by expert professional tour guide and get on private latest model A/C vehicle and transfer to Giza area Transfer to ATV`S station where you get on 4 wheels ATV`S ride and enjoy an hour ridding the Quad bike in the open desert of Giza Pyramids where you able to take nice amazing photos you will never able to take it when you are a normal visitor to Giza Pyramids area.